GOOD+. blue glossy photo-illustrated wraps, bagged for protection with a stiff backing board, shelf wear, small chips and creases to edges. 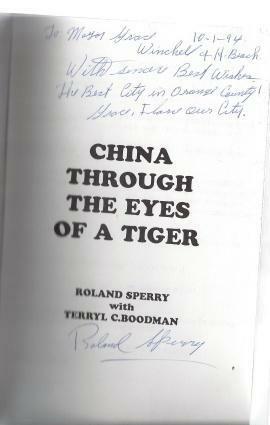 *AUTOGRAPHED/SIGNED* by author on half-title page. *Text in French* GOOD+/GOOD+. 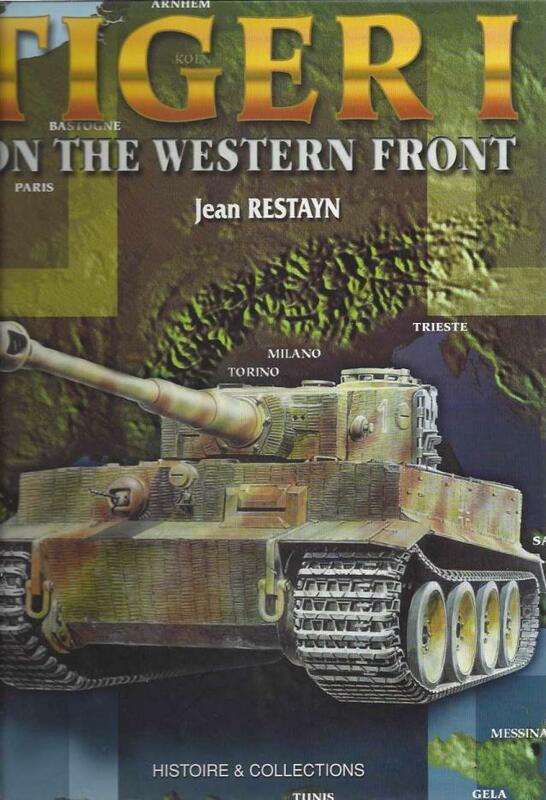 Light brown photo illustrated jacket, dust jacket in archival plastic protector, approx. 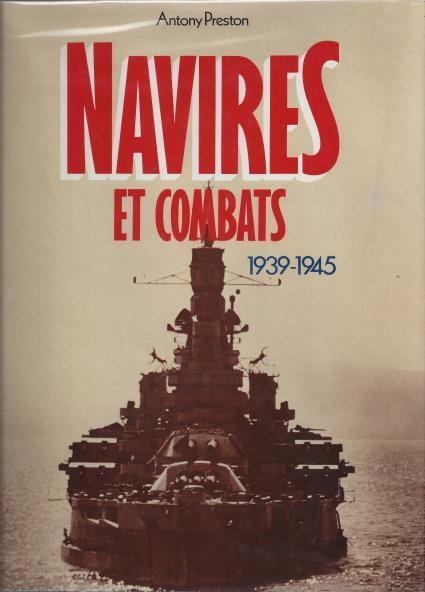 12'' x 9'' x 1'', 224pp., very small creases to spine edges and corners of jacket,. very light scratch marks to front front of jacket, very small brown stain to front right folded edge near corner of jacket, 2 light grey smudges to back of jacket. GOOD+. 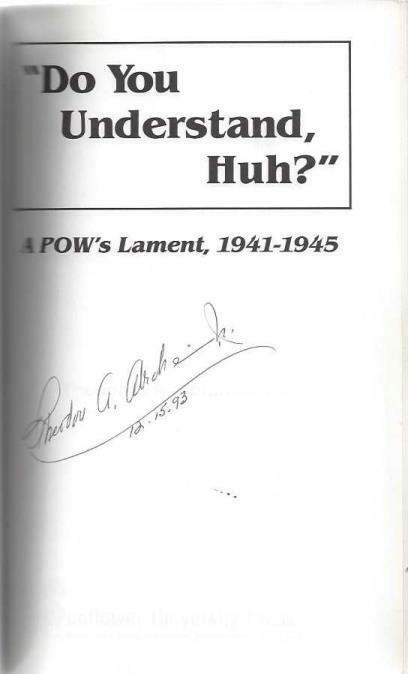 First printing of the third edition, 2003, *AUTOGRAPHED/SIGNED* by B-17 pilot Bill Cerpe(?) 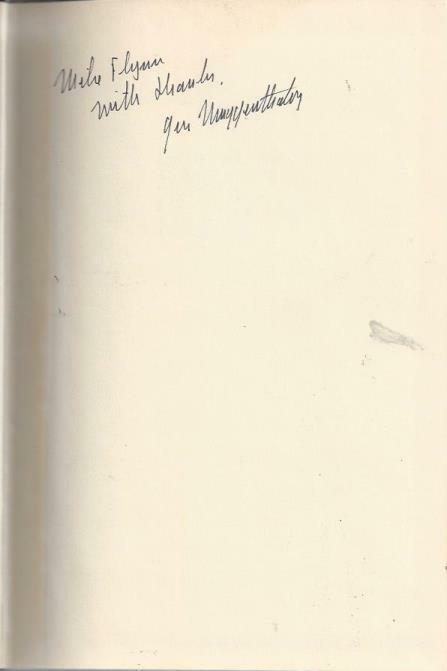 on title page. blue photo-illustrated wraps, bagged for protection with a stiff backing board, approx. 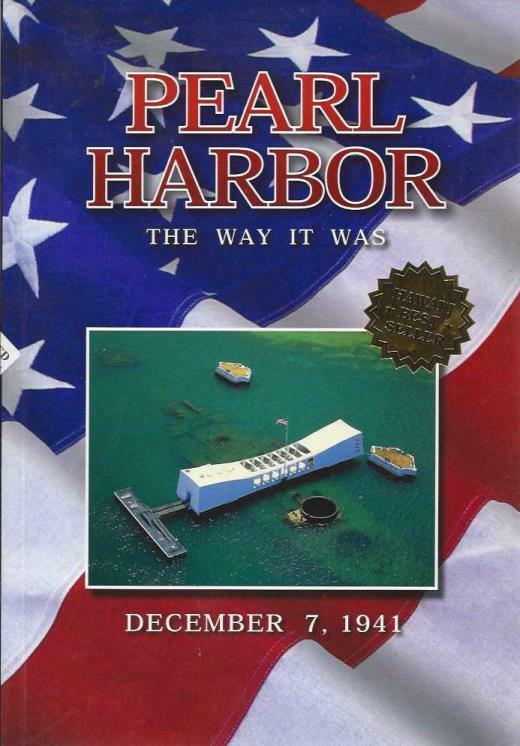 7'' x 10'', light shelf wear to covers, includes memorial tribute pp.65-79. GOOD-/FAIR. Brown jacket spine faded from red, red illustrated front jacket cover, dust jacket in archival plastic protector, approx. 9'' x 6.5'', 227pp., large portions of jacket spine missing, remaining pieces have been tape repaired and are heavily faded and chipped, small chips to edges of jacket, lots of tape repair to all jacket edges, lightly faded front jacket, light brown stains covering most of back of jacket, tape repair to back spine hinge of jacket, price clipped corner, ink writing to top of fly page, inner pages are in good, very readable condition. GOOD/GOOD. 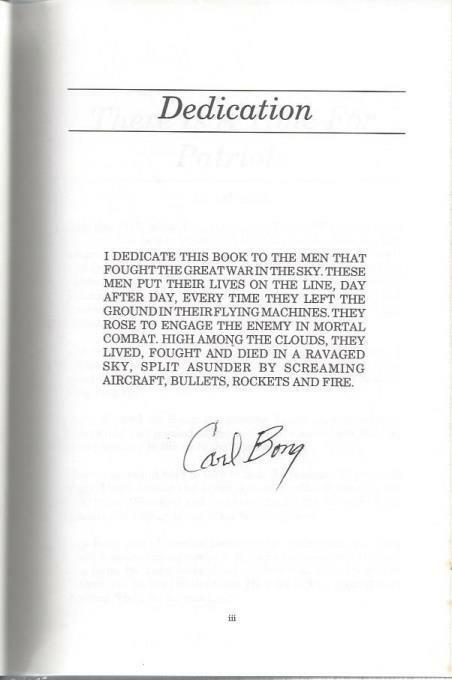 *AUTOGRAPHED/SIGNED* by author Carl Bong on dedication page. black and red photo-illustrated jacket, dust jacket in archival plastic protector. large chips/tears to edges, corners, and spine ends of jacket, shelf wear, small bumps to corners, light stains and foxing to page edges. GOOD. Yellow and black illustrated wraps, approx. 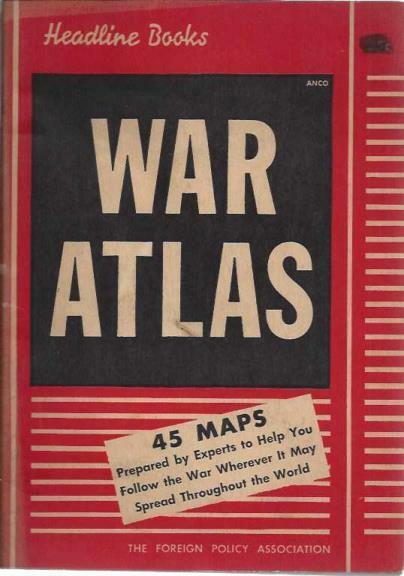 8.5'' x 11'', 94pp., small creases to spine edges and corners, tape repair to bottom spine end extending to bottom front and back spine hinges, very small black stains to back cover near spine hinge. GOOD. 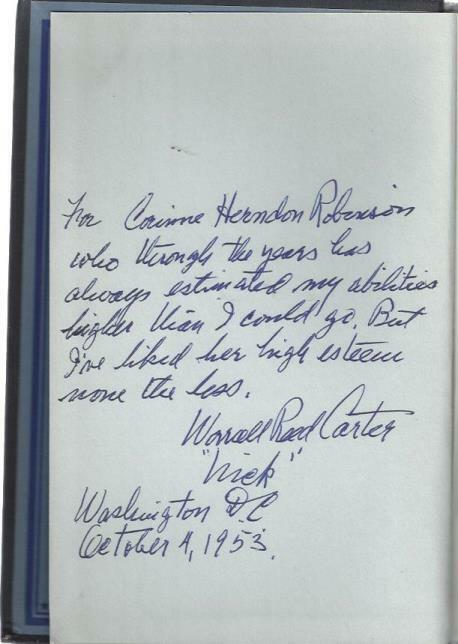 *AUTOGRAPHED/SIGNED* by Worrall Reed Carter on reverse side fly page dated October 4, 1953, signature inscribed to Carmine Robinson. Red cloth boards, approx. 6" x 9", bumps/dents to corners, lightly faded boards, light shelf wear. FAIR. blue cloth boards, bagged for protection, large chips/tears to boards at spine, biopredation to spine hinge of back cover, lightly annotated and marked up in ink, foxing and light stains to page edges. GOOD-. red wraps, bagged for protection with a stiff backing board, shelf wear, faded covers, browning pages, very small and faint ink and pencil markings on half-title page. GOOD. *AUTOGRAPHED/SIGNED* by author J.R. Swartz on reverse side of front cover. yellow illustrated wraps, heavily rubbed covers, small chips to corners and spine ends, heavy shelf wear. GOOD/GOOD-. *AUTOGRAPHED/SIGNED* by Kimberly and Kaleigh Komatsu. Grey photo illustrated dust jacket, dust jacket in archival plastic protector. Approx. 10.5" x 12". Bending of the plastic protector on top and on the bottom. Slight rub wear to corners and edges.Photos available upon request. GOOD-. Light brown illustrated wraps, approx. 9'' x 6'', 117pp., bagged for protection, chips and rub wear to spine end, small chips and creases to spine edges, edges and corners of covers, light to medium brown stains and light creases to covers, 0.5'' closed tear to back spine hinge, many creases to top of back cover, small address label to bottom inside front cover, light creases and some ink writing to some pages of text. 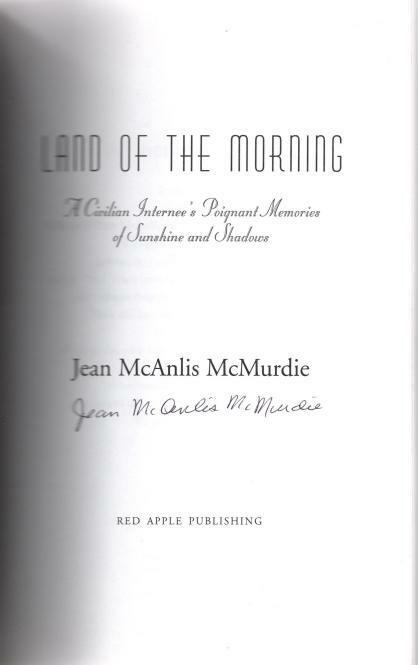 *AUTOGRAPHED/SIGNED* by author Jean McAnlis McMurdie on the fly/title page. VG. Peach and green illustrated glossy wraps, approx.9'' x 6'', 153pp., very small creases to corners, very light shelf wear, never been read. GOOD/GOOD+. 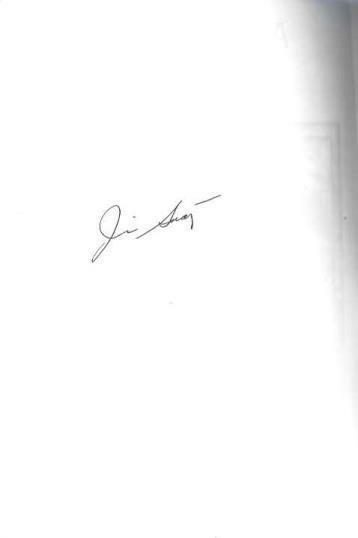 *AUTOGRAPHED/SIGNED* by author on fly page, signature addressed to "Mike Flynn." 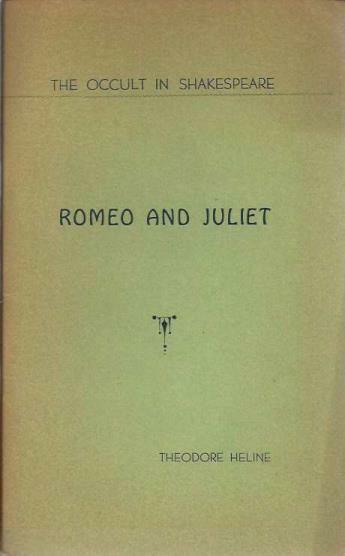 white illustrated jacket, dust jacket in archival plastic protector, small chips to corners of jacket, shelf wear, price-clipped jacket flap, light foxing to page edges, little wear otherwise. POOR. 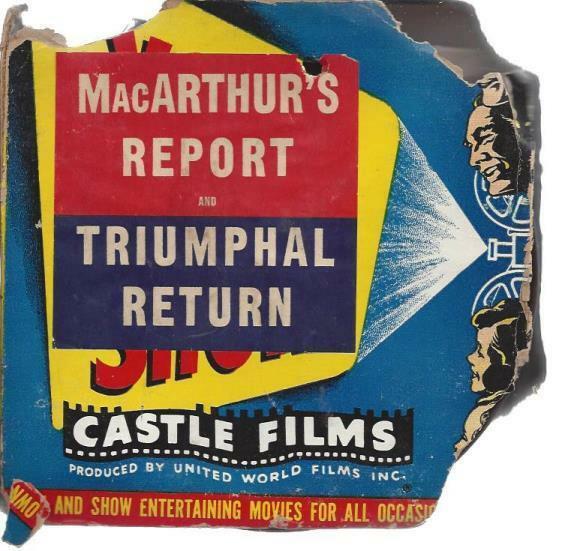 Film reel in original illustrated box case, box case with heavy tears to corners and spine ends, very fragile, browning case, reel itself possibly faded/torn. GOOD. Black and red illustrated wraps, approx. 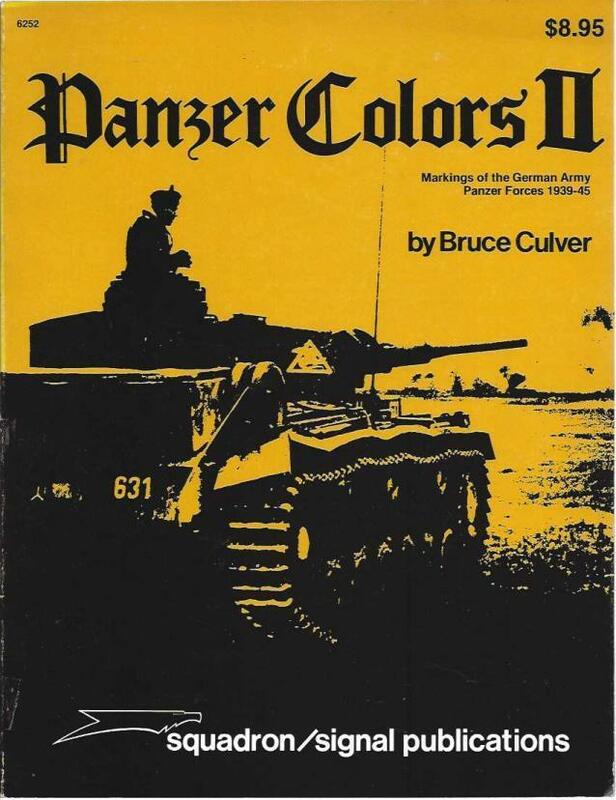 11'' x 8'', 48pp., bagged for protection with a stiff backing board, small creases to stapled edge and corners, slight rub wear near edges, ink scribbles to bottom left front cover, light rub wear and a few light scratch marks to back cover. 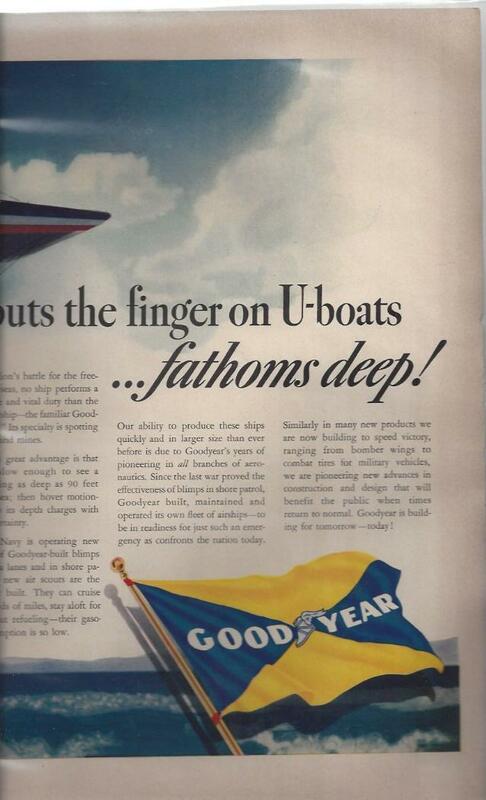 18 n/a; n/a [Foreword] Goodyear Advertisement: It Puts the Finger on U-Boats...fathoms deep! GOOD. *UNDATED, CIRCA 1945* Goodyear Tire Company magazine advertisement, bagged for protection with a stiff backing board, unfolded approx. 24'' x 14'', creases and small chips at fold, lightly sun faded. GOOD. 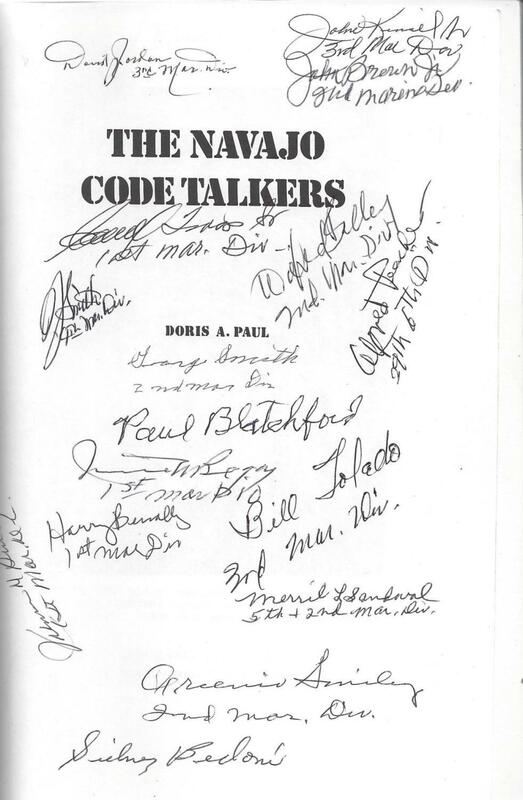 *AUTOGRAPHED/SIGNED* by 22 of the Navajo Code Talkers on the half-title and title pages. black glossy photo-illustrated wraps, bagged for protection, light shelf wear. VG. White illustrated boards, approx. 9.5'' x 12.5'', 144pp., small creases to spine edges, light rub-wear, very light shelf wear.